We Now Use BurrowRx for a safer, greener approach to pest control! Are Unwelcome Critters Pestering You? High Desert Wildlife & Pest Solutions is a wildlife removal and pest control company with offices in Middleton and McCall, ID that serves all of southwestern Idaho and southeastern Oregon. Not only will we remove the wildlife or pests, but we'll repair any damage made to your property. We handle every sort of infestation, from bedbugs to coyotes. Whether it flies, crawls, slithers, jumps or swims, we can either exterminate or remove the critter from your property. You can count on us to resolve your wildlife or pest problem quickly and minimize the risks of future infestations. Reach out to us today for more information about our wildlife removal process or to schedule pest control services. If you have a pest problem, make sure it is resolved fast and will not occur again. High Desert Wildlife & Pest Solutions specializes in keeping pests from returning to homes and offices in the Ontario, OR and Middleton, McCall, Eagle Boise & Nampa, ID areas. After removing the animals or exterminating the pests, we'll provide exclusions that seal up the hidden entrances into your home or business. You can count on us to make sure pests don't return to your home or business. 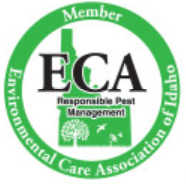 Contact High Desert Wildlife & Pest Solutions at 208-590-3364 now to schedule pest control services in Middleton, McCall, Eagle Boise or Nampa, ID. What type of wildlife do you need removed? If you find your home or business infested with any of these critters, call an exterminator as soon as possible for quick and thorough wildlife control services.